The Ascot Holocaust Education Project is managed by a community group of trustees and members from the Royal Borough of Windsor and Maidenhead, Sunninghill & Ascot Parish, as well as the museums of Windsor and Maidenhead. The project seeks to raise awareness of the story of ‘Ascot’s Belsen Boys’ and deliver a Holocaust Education programme in Berkshire. — Jack Bart, Holocaust survivor cared for in Ascot. Elizabeth Yates & Lilly Evans. Sam Freiman and Ivor Perl. 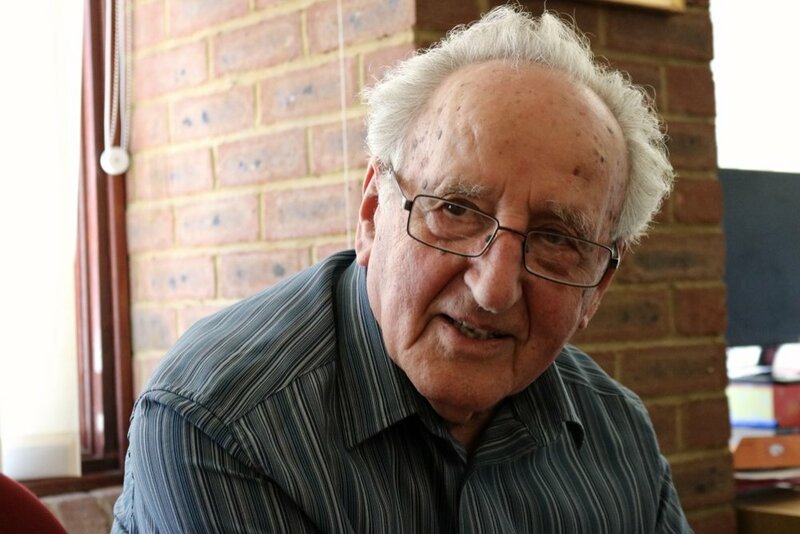 Ivor Perl at the Holocaust Survivors Centre in North London, April 2018. Photo: Rachel Judah.